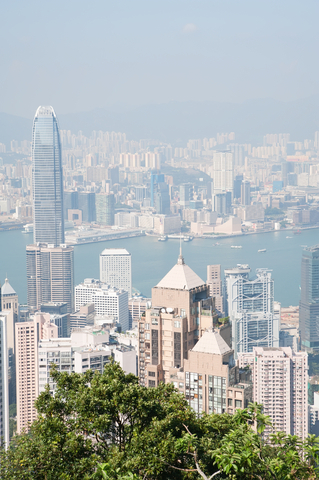 Hong Kong is the world’s most expensive city for companies to locate employees, significantly ahead of London and New York, which have been vying for second place over the past two years. Paris completes the list of the top four cities where renting a living and working space for a single employee costs more than US$100,000 a year, according to latest analysis from international real estate adviser, Savills. The Savills World Cities Live-Work Index reveals that it now costs an average of just under US$76,000 a year per employee to rent residential and office space in a world city, a 21% increase since 2009. In Hong Kong, the cost of living and working space per employee averages US$123,000 a year, 1.6 times more expensive than Singapore, 3.8 times more than Shanghai and some 4.4 times more expensive than Mumbai. While total live/work costs have remained broadly stable across the index over the past year, there were exceptions. They rose by 41% in Dubai, albeit from a relatively low base, to rank the city seventh most expensive, although the high costs in part reflect a particularly generous office space allocation per worker, a product of the city’s previously high supply, low rent era. By contrast, costs fell 12% in Mumbai in India. The city ranks as the cheapest location at just US$28,000 per employee per year for all live/work rental costs. ‘These findings go some way to demonstrating the rebalancing of world economies as more mature, old world cities demonstrate stable growth in this recovery cycle. New world city growth has slowed markedly, albeit this trend has been slightly counterbalanced by the emergence of new world city real estate markets, notably Rio de Janeiro and Dubai,’ said Yolande Barnes, director of Savills World Research. Costs vary significantly from location to location across most cities in the index, with a real discount for space typically occupied by creative industries, including tech, compared to prime financial district space. The new Savills creative space discount measure demonstrates the need for businesses to look beyond headline, prime rental space costs when assessing corporate occupancy costs. Hong Kong may be the world’s most expensive city in which to accommodate financial sector staff who each occupy live/work space costing an average of US$144,000 a year, but it is only the third most expensive for tech and creative employee accommodation. Similarly, second placed London’s creative space discount of 36% ranks it fourth most expensive for these companies, while New York offers creative companies a space discount of just 16%, ranking it second most expensive. Only in Paris and Sydney is there no discount for creative space, meaning that a tech company will pay more for live/work space in Paris than in any other world city, including Hong Kong. The biggest financial sector premium is seen in Moscow, where Russian money is investing once again, pushing up demand for space in the city, according to Barnes. ‘Similar forces also seem to be at play in Dubai, which has seen the impact of Middle Eastern cash in a market that has shown significant growth, prompting talk of cooling measures,’ she explained. There are two new entrants to the Savills world city ranks, Dubai and Rio de Janeiro. ‘Rio earns its place in our index as a result of its changing status as upcoming Olympic host, albeit it enters at a low value base, while Dubai is clearly flexing its muscle as the real business and investment hub of the Middle East. Price rises in the city are a clear reflection of asset price inflation over the recent past,’ added Barnes.